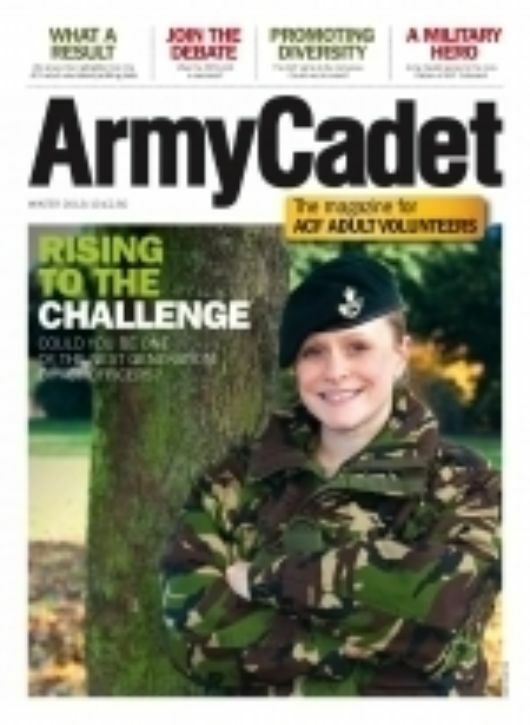 RISING TO THE CHALLENGE - Could you be one of the next generation of ACF Officers? 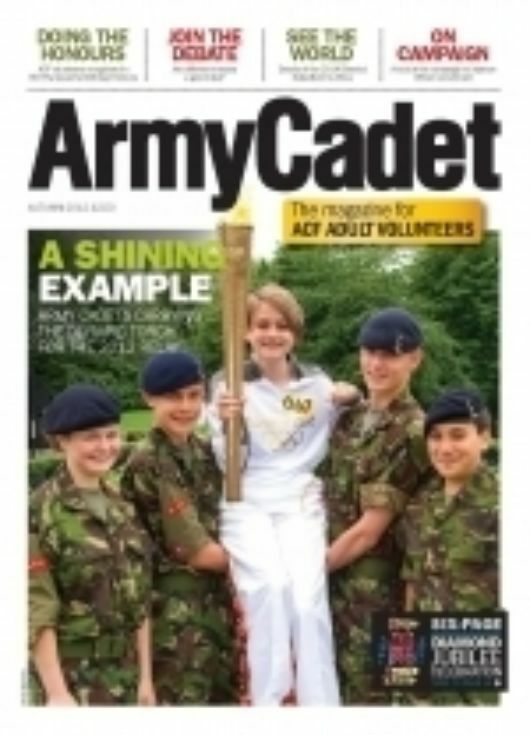 A SHINING EXAMPLE - Army Cadets carrying the Olympic Torch for the 2012 relay. 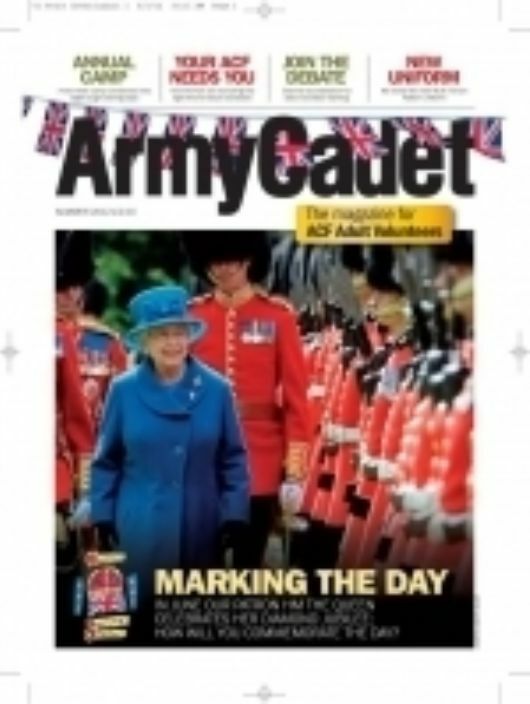 In June our Patron HM The Queen celebrates her Diamond Jubilee; how will you commemorate the day? 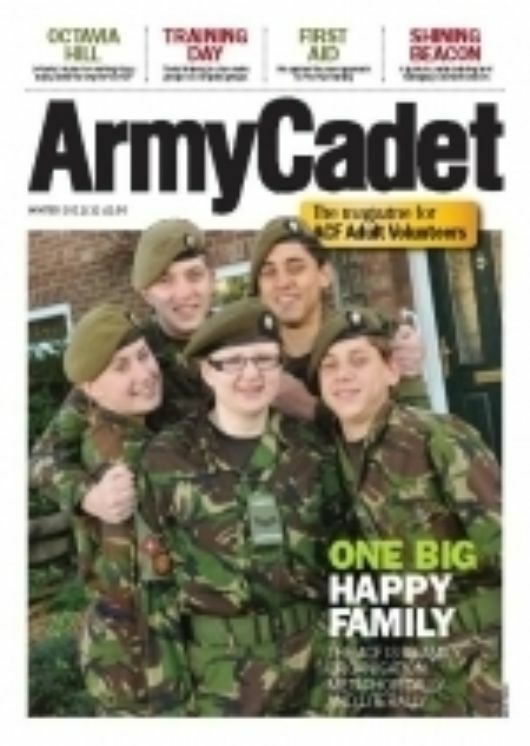 We visit Kent ACF's Easter Camp, reveal the new MTP Uniform and discuss what the ACF are doing to recruit the right kind of adult volunteers. ONE BIG HAPPY FAMILY. 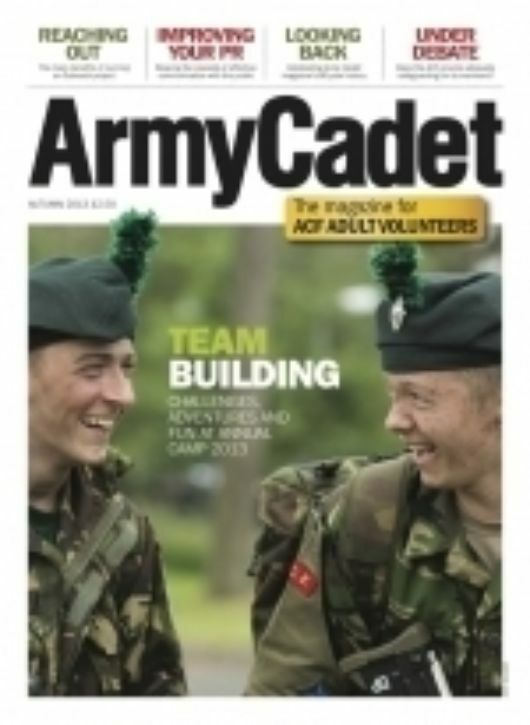 The ACF is a family organisation metaphorically and literally. 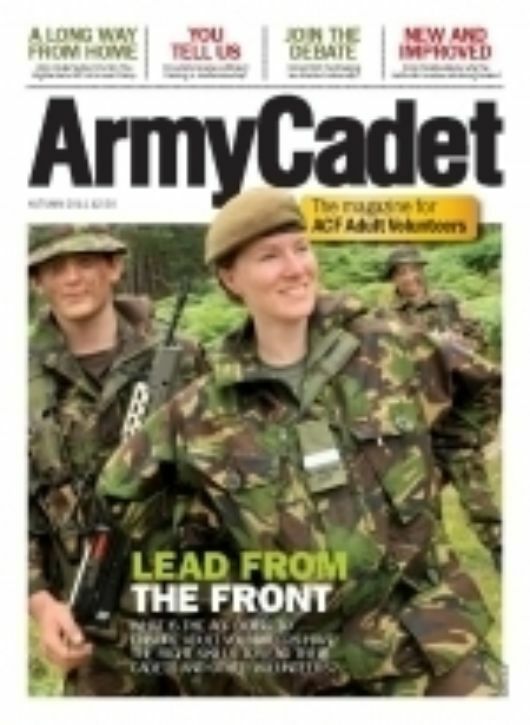 LEAD FROM THE FRONT - What is the ACF doing to ensure Adult Volunteers have the right skills to lead their cadets and other volunteers? ARE YOU GIVING THE RIGHT SIGNALS? 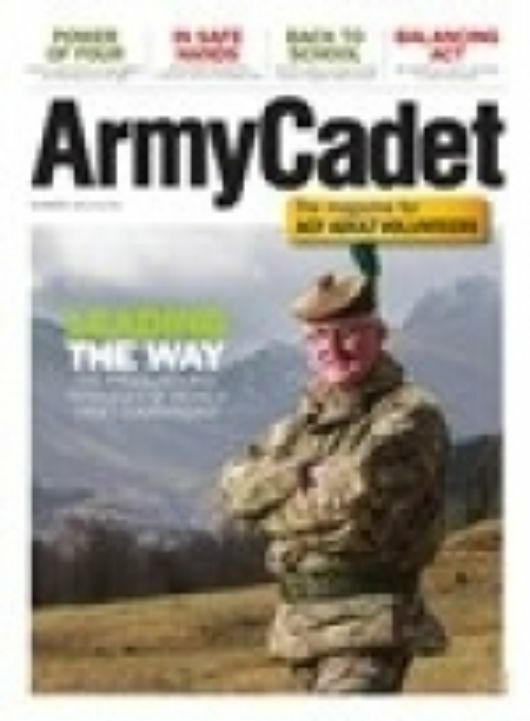 Army Cadet visited the annual Rolling Thunder Signals Competition in February. 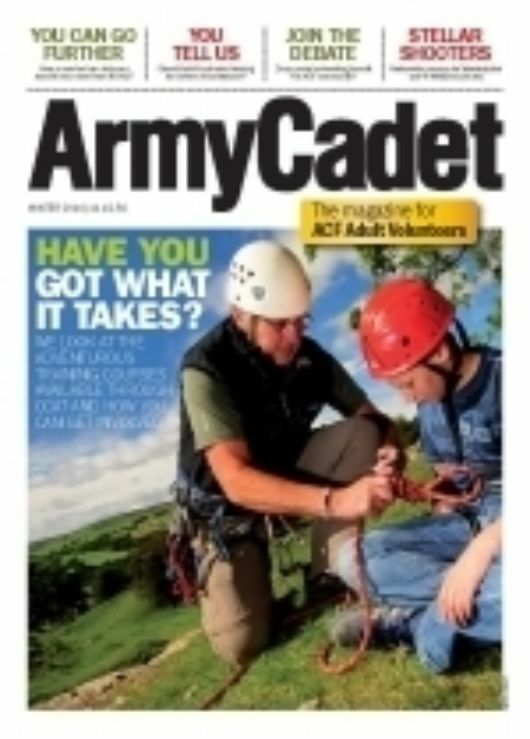 HAVE YOU GOT WHAT IT TAKES? 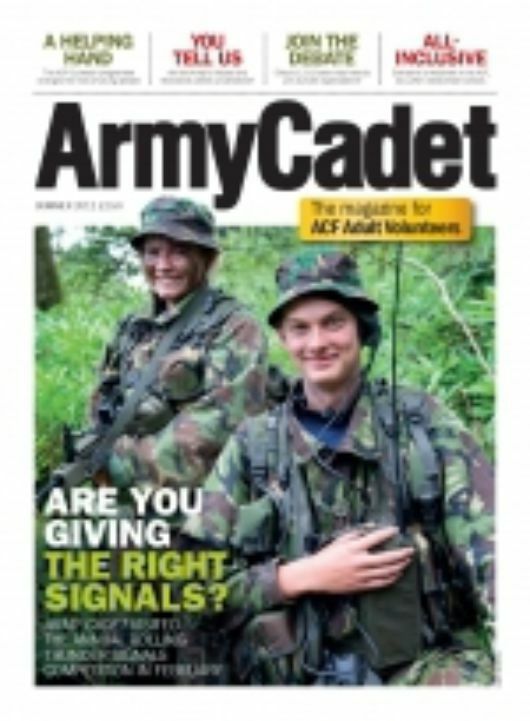 Army Cadet looks at the Adventurous Training courses available through CCAT and how you can get involved.